Nestle is family, I grew up with Nestle and have enjoyed all its products. 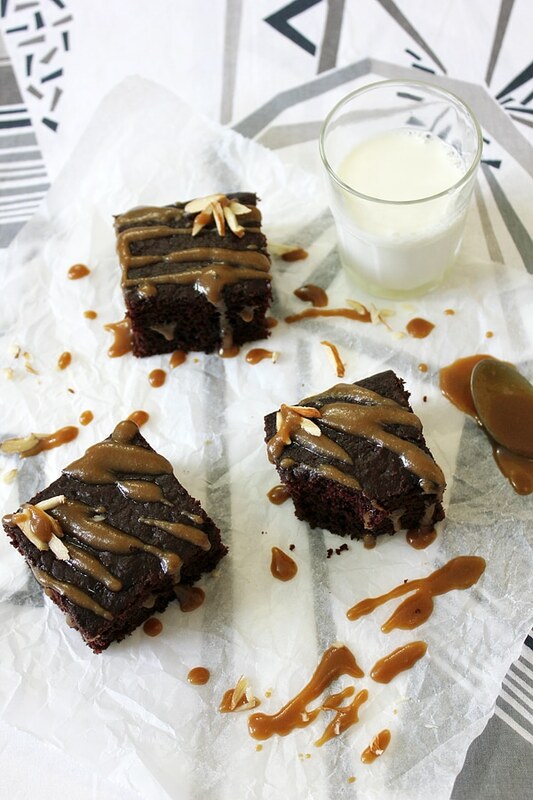 I respect this company because not only it offers quality products, but also for the fact that Nestle keeps coming up with new interesting goodies, like Nestle’s Delightfulls (caramel filled morsels) which I’ve used in making this Chocolate Cake with Caramel Sauce. When I was given the chance to try Nestle Toll House DelightFulls Filled Baking Morsels, I knew exactly what to do. 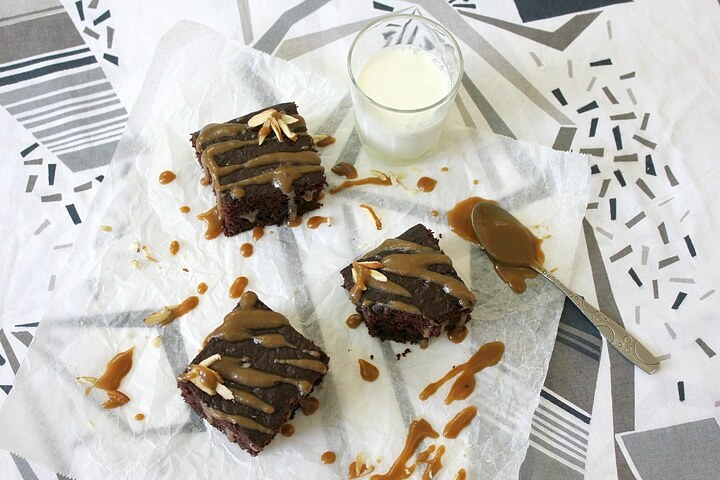 If you love caramel, you’ll love this recipe. 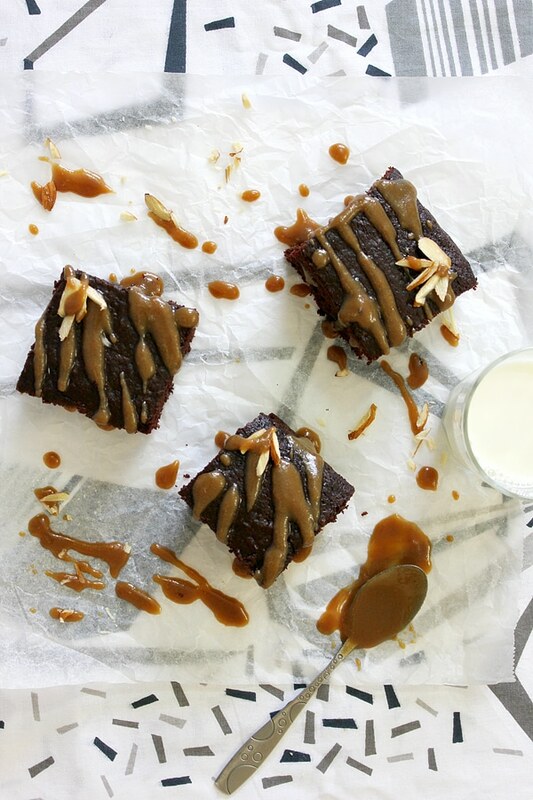 It is a pleasant surprise to find a caramel-filled morsels in every bite you take. This cake is a perfect birthday cake, it is chocolaty and moist, and instead of the caramel sauce, you can use the frosting you desire. Nestle Toll House DelightFulls Filled Baking Morsels, are great for baking, but they are also great in shakes. My husband have them straight from the bag and I don’t blame him, these morsels are amazing. 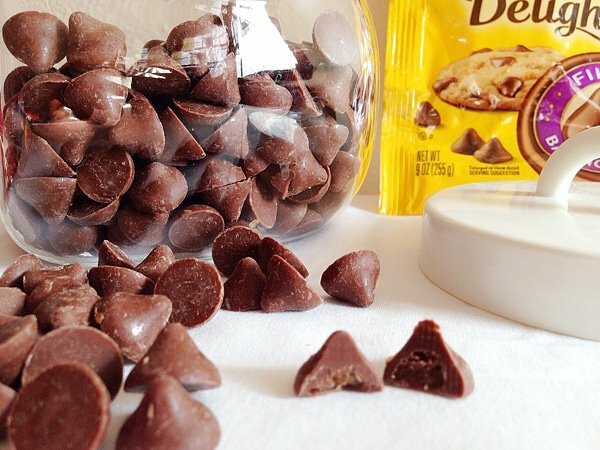 Don’t forget to check out Nestle DelightFulls recipes, make the Holidays special! 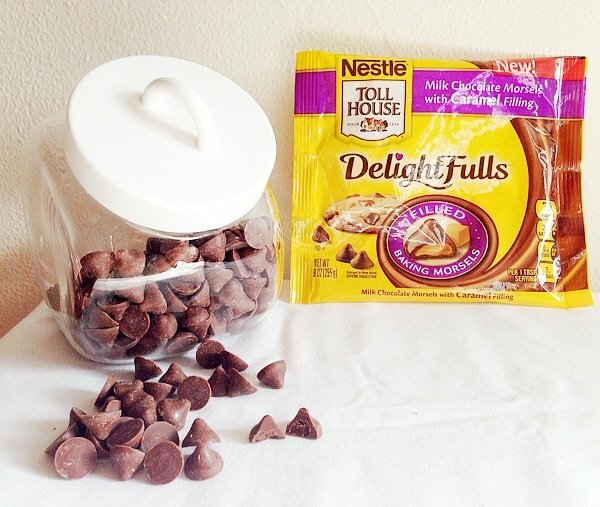 Thank you to Nestle Toll House for sponsoring today’s post and inspiring me to try the new DelightFulls Filled Baking Morsels! Serves 9. 247 calories per serving. Serves 12. 185 calories per serving. – Line an 9″ pan with parchment paper or instead, you can grease and flour the pan, keep aside. – In a bowl, whisk flour with salt, baking powder, and baking soda. – In a different bowl, add the cocoa powder, pour boiling water, and mix well. – Add the egg, sugar, vanilla, butter, and yogurt on the cocoa mixture. Mix until combined. – Add the flour and mix gently, over mixing will result in tough cake and it may sink in the middle. – Mix NESTLÉ® TOLL HOUSE® DelightFulls™ Caramel Filled Morsels with a teaspoon of cocoa powder, then add to the batter, fold gently. 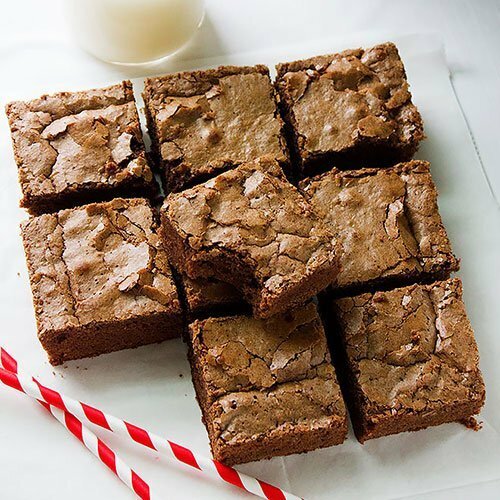 – Pour the batter in the baking pan. – Bake for 25 to 30 minutes or until a tooth pick inserted in the middle of the cake comes out clean. 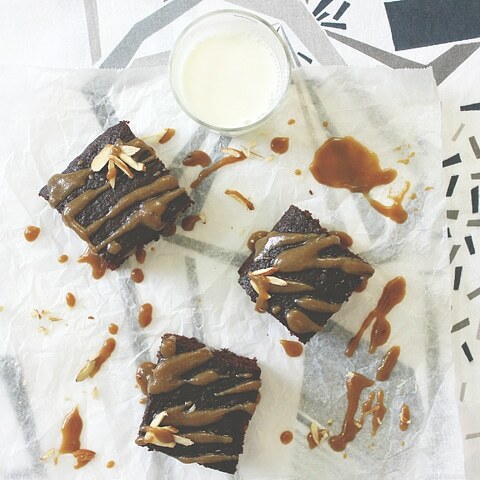 – Pour half the amount of caramel sauce on the cake while the caramel is warm. – In a saucepan, add the butter, sugar, vanilla, and the hot milk. – Stir the mixture until the sugar dissolves. – On a medium heat, stir the previous mixture until it comes to a boil. Turn off heat. * Calories calculated using only half the caramel sauce, which is enough for this cake. – If you want to bake this cake and not use caramel sauce or frosting, please add extra two tablespoon sugar to the cake batter. – To make a birthday cake, double the recipe and use two 9″ pan. 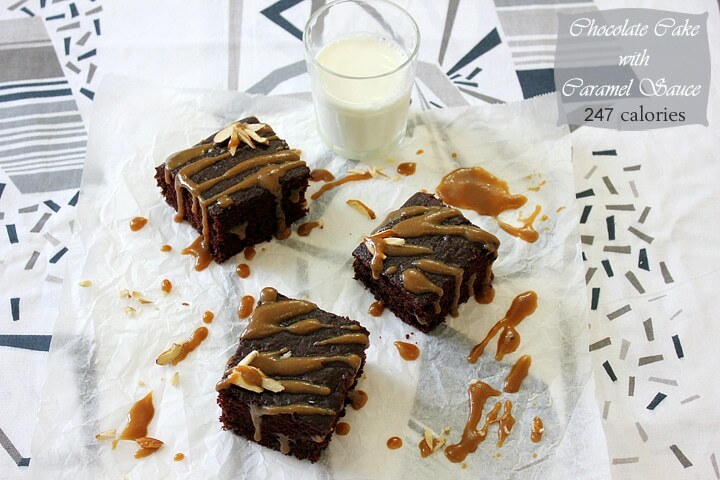 – If you like to use more caramel filled morsels in this cake, go easy on the caramel sauce. 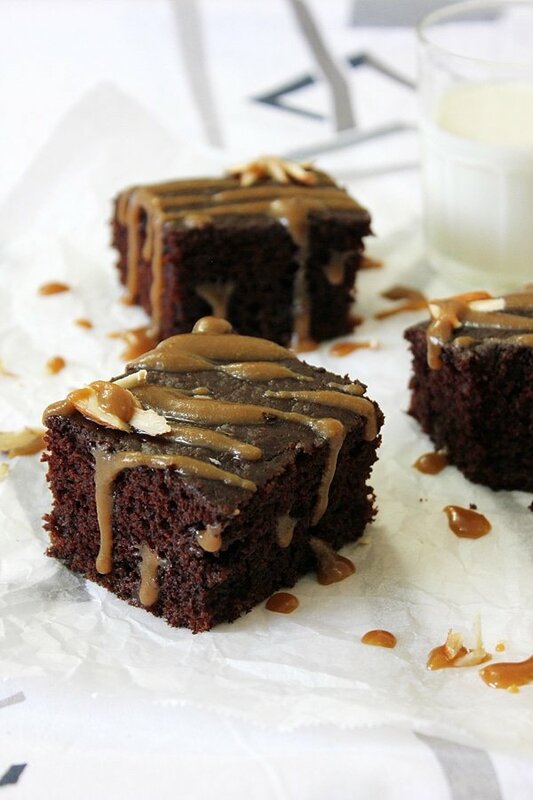 I definitely can see myself devouring many of these chocolate cake slices.. they look SO delicious, especially with all that caramel sauce drizzled over the top! Damn delicicous and fancy looking dessert!!!! I made a big batch of these, without the caramel chocolate chips in it, and I must say, it was a very nice textured chocolate cake. I think it’s the best chocolate cake I ever made. I did a melted chocolate frosting, because I was in a hurry, didn’t have time to cook caramel. I love the taste and texture. If you’re a sweet tooth person, like me, you may want to increase the sugar by 1/4 cup. Otherwise it’s a perfect recipe.